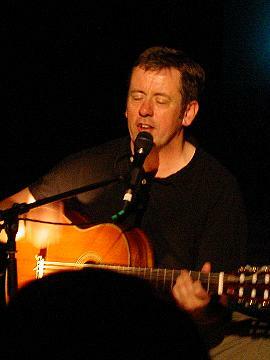 "Melbourne, Sydney, Brussels, Hamburg, Amsterdam - all those gigs were just a warm up for Derry". 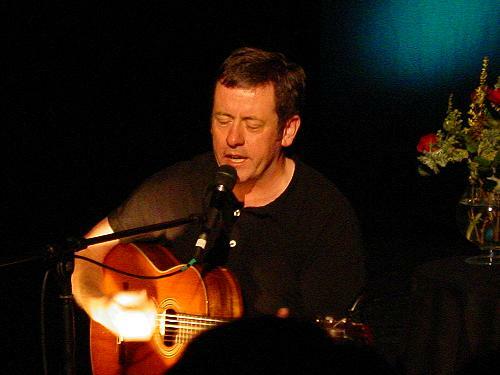 Flattery, as you know, gets you everywhere and right from the start Luka Bloom intoned flattery upon his responsive and respectful Derry audience Saturday night past in the Playhouse. Presenting a performer in the most suitable venue can prove crucial to the success of a gig, and nowhere in the city can do casual intimacy quite like the Playhouse. 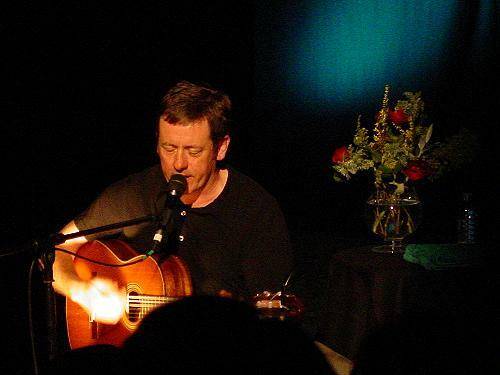 Seated centre-stage and lit by a single spotlight that threw silhouettes and spidery shadows against the black drapes and walls, Luka Bloom is not a figure to wilt before an expectant crowd. Comfortable with his audience, Bloom is a performer that heeds the contract of give and take. 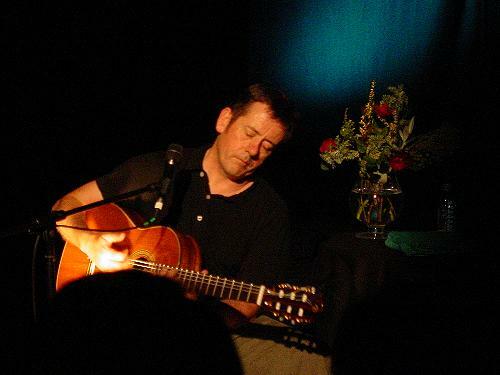 With easy humorous between song banter, he brings his listeners along with gentle self- mockery and delicate touches of social, political and personal awareness. 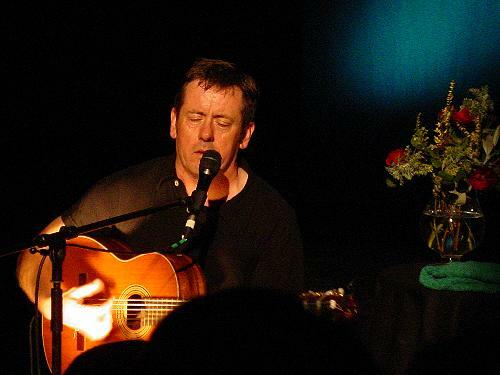 This set, taken primarily from his current album, 'Innocence' displayed Bloom's strengths as a songwriter that marvels at the wonders of the world. The beauty of the natural world came across in the opener 'First Light of Spring' and 'Primavera' a song saturated with Spanish like rhythm, whilst 'June' was a leap into summer sunshine. Immigration/emigration feature heavily in the Bloom songbook, chronicled here by 'Gypsy Music' and 'No Matter Where You Go, There You Are'. 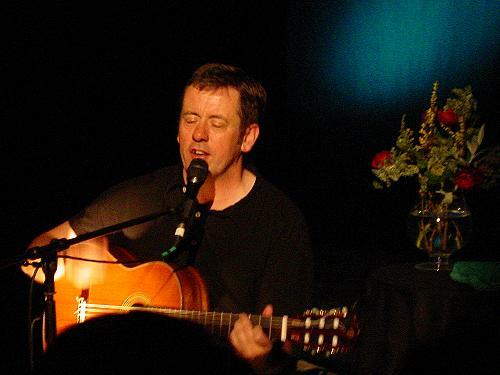 A Bloom song made famous by his more famous brother Christy Moore, 'The City of Chicago' has not in the past been a standard of his set, but it received an airing here.